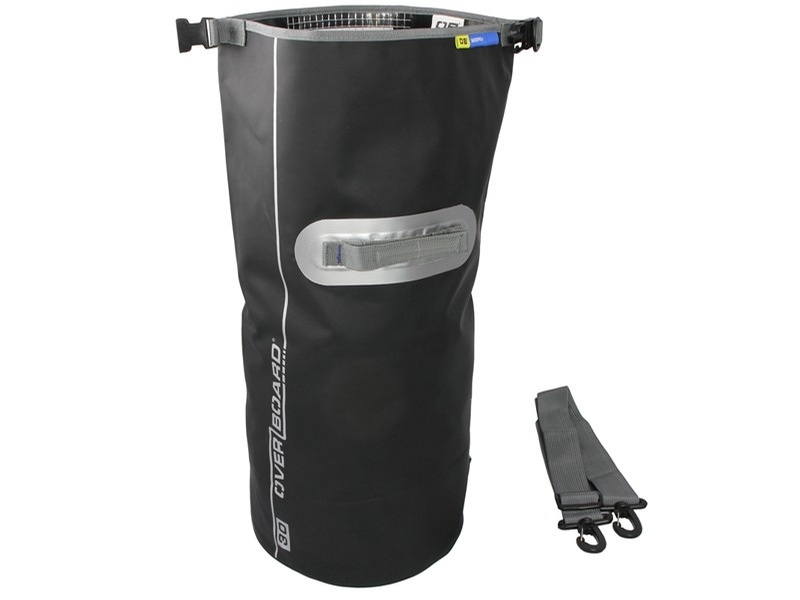 Rooting around for your stuff or water-logged possessions are things of the past with this Black 30L waterproof dry bag, featuring a window and a waterproof construction. Thanks to welded seams and our trusty Fold Seal System™, this 100% waterproof Dry Bag is suitable for quick submersion and floats when dropped in water so you have a chance of retrieving it without getting wet yourself! Made of nylon-coated PVC tarpaulin, our waterproof Dry Bag is built to last and easy to wipe clean, so it can handle some rough ‘n tough. You can hold it by the sturdy grab handle or sling it over your shoulder with a removable shoulder strap – the choice is yours. 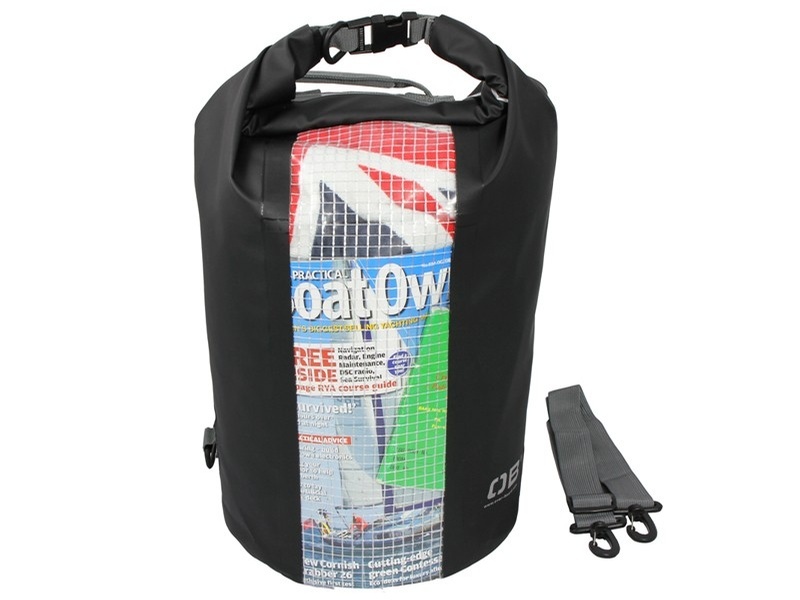 With a 30 Litre capacity and reinforced mesh window, this is the perfect kit-carrying accessory for longer sailing or camping trips. Purchase through PayPal by using the "Add To Cart" button above or use the form below to order the Overboard 30L Dry Tube with window Black . 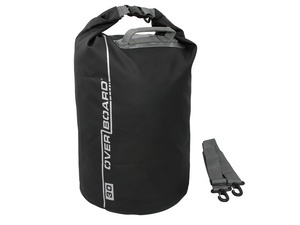 Feel free to contact us if you have any questions about the Overboard 30L Dry Tube with window Black .